MoMoToP is a young Swedish jazz group. The name is an acronym for “Mats och Måns och Tomas och Pontus”, the names of the members. 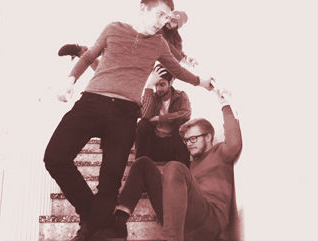 MoMoToP was formed by the four friends in 2011 on the initiative of guitarist Tomas Hörnberg. The music alternates between childish mischief and deadly serious. With a basis in jazz, the music sometimes takes unexpected leaps in other directions when the group members interprets and transforms each others compositions and ideas. Currently MoMoToP has shrunk to a trio and it is this setting that is heard on the band’s second album Slipen Sessions that was released in February 2015.